Repair Doctor - Locksmith, Windows/Doors/Conservatories based in Lowestoft, Suffolk. Repair Doctor EA are specialists in double glazing repairs, window repairs and conservatory repairs. We also repair and fit door locks. With a 60 minute response time within a 30 mile radius of Lowestoft Suffolk. We hold a huge amount of stock on our vehicles so you can be confident that we can help with whatever problem you may have. Repair Doctor EA will always try to repair rather than replace all your UPVC door lock faults as this will minimise any possible damage to your door. Please note that UPVC door lock repairs are very complex and should only be undertaken by a skilled craftsman to minimise the risk of cosmetic damage. In a majority of cases a misted window is caused by a failed sealed unit. We can replace just the sealed units instead of the whole window to bring your double glazed window back to life saving you money. Our expertise in conservatory repairs mean that you can have confidence in any repair needed. We can repair, remove or even build and fit a new conservatory roof if necessary. As they are moving parts window locks and hinges are more likely to stop working correctly and causing draughts. Repair Doctor EA replace those parts that are not working correctly, at a fraction of the cost that it would have cost you had you decided to replace the whole window. 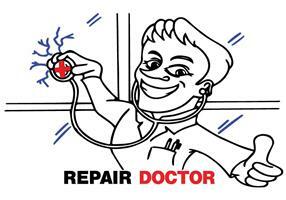 Repair Doctor EA have a coverage area within a 15 miles radius of Lowestoft. Barnby, Beccles, Blundeston, Bradwell, Bungay, Carlton Colville, Corton, Geldeston, Gillingham, Gorleston, Great Yarmouth, Haddiscoe, Halesworth, Hopton, Kessingland, Oulton Broad, Pakefield, Poringland, Reydon, Somerleyton, Southwold, St Olaves, Worlingham, Wrentham.